After around a year of attempting to avoid silicones and sulphates in hair products, to see how much of a difference (if any) it made, the time has come to revert back to my old ways. My hair is pretty much the same and I’ve missed the mirror-like shine and silky touch that a bunch of supposedly suffocating ingredients give me. Don’t get me wrong, all of the products I mentioned during my trial, I still adore. Though, being honest, when there wasn’t much of a ground-breaking change to my hair in the long-run, the additional cost of the silicone-free products didn’t seem worth it. I still have a tonne of precious Phyto products in my drawers and they'll continue make an appearance in my shower. I’m just not going to scan through the ingredients list of every hair product I pick up like a vulture, purposefully avoiding those s’s, from now on. It feels quite refreshing. Falling to just above my bottom, my hair can cause me some trouble. Not only that, it's been coloured to within an inch of its life. Split ends, dry, frizzy lengths and a lack of volume are my daily, barnet battles. To achieve hair harmony, I require regular chops and some help from this lineup, which leaves my locks looking healthier and feeling soft. As my hair is so dry and needs lots of nourishment, the products I use are quite rich, so bear that in mind, if your hair type is different. 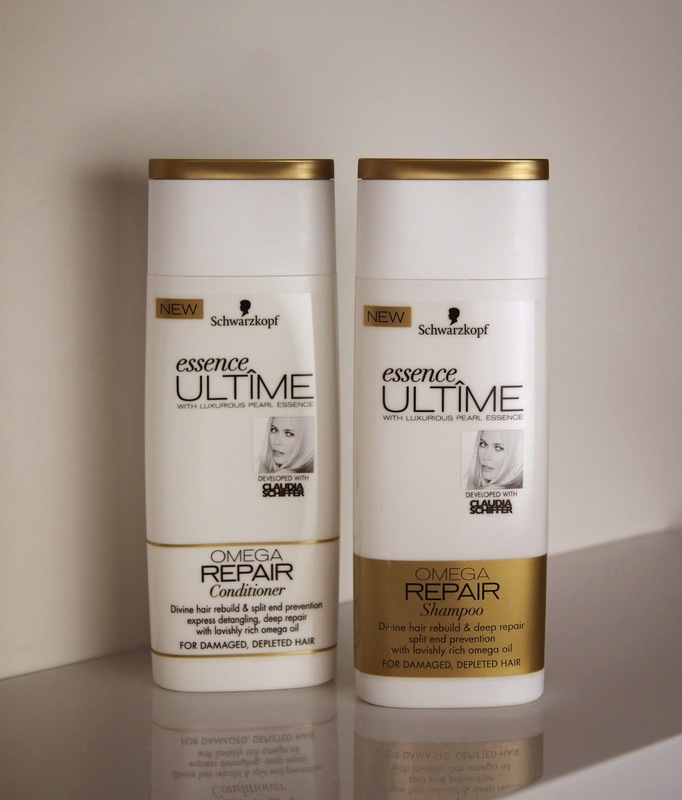 First on my list of shampoo/conditioner pairs to try, was the new, Schwarzkopf Essence Ultime range, which has been developed with Claudia Schiffer. I'm not sure why the model has been roped into the brand's recent release, if she actually has at all, other than to look good. Putting my celebrity-endorsed, product peeves to one side, I picked up the duo from the Omega Repair line. Ideal for parched, sun-scorched hair, this duo is designed to rebuild and revive damaged, depleted hair, giving it a new lease of life. Even though neither the shampoo or conditioner feel particularly thick or heavy on application, their intensity is very noticeable afterwards. Infused with omega oils, refined proteins and pearl essence, this pair leaves hair silky-soft and with a glossy shine. I find I need to use significantly less of my other styling products when I've washed with this shampoo and conditioner, otherwise my hair can become a bit overloaded. I feel as though this formula could rival higher-end products that claim to deliver similar results and charge triple the price. 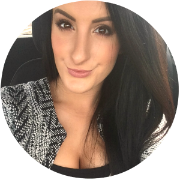 I've tried many nourishing formulas and Schwarzkopf's creation is just as effective. As usual, I've used up the bottle of conditioner far quicker than the shampoo, which always makes me wonder why brands don't make their conditioner bottles bigger! Available on the high-street, these products are easily available and won't break the bank. The simple, white and gold packaging looks up-market for a drugstore brand, although they could've put Claudia's face on the back of the bottles. I'd usually avoid products linked with celebrities, thinking that their input would be to boost sales and mask a mediocre product. Turns out, this one is rather good. I haven't deviated away from my old routine completely. 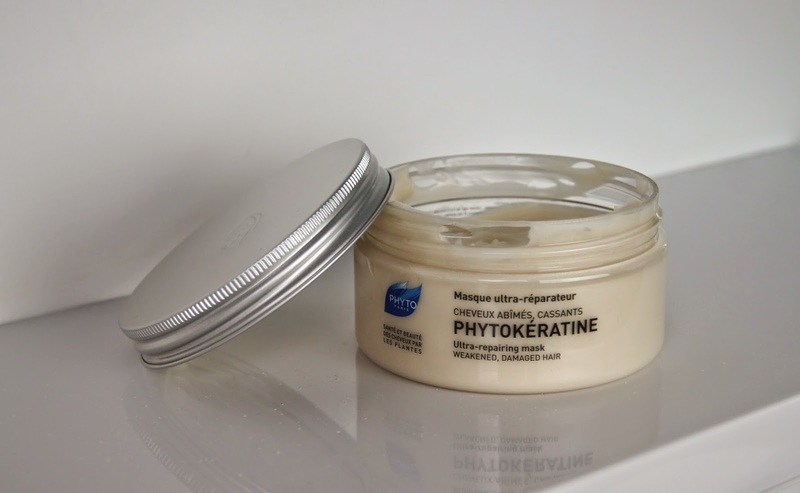 About once a week, I like to use a really heavy-duty, hair mask and they don't get much more full-on than Phyto's Phykeratine Treatment. Keratin, the protein that naturally makes up our hair, skin and nails, is known to transform hair when applied, intensely moisturising and giving sleek, shiny results. Botanical Keratin and Hyaluronic Acids are key ingredients in this mask and help to inject moisture deep into the hair shaft, hydrating and rebuilding damaged areas. You need to get the balance right with this one. Apply too much, or leave it on for too long and you'll need to wash your hair all over again. To achieve optimal results, you need to customize your application according to your hair type. For me, I find that using just enough product to lightly coat my hair, avoiding my roots, is enough. Leaving this mask to work its magic for five minutes is plenty of time for the conditioner to penetrate, without leaving my locks weighed down and greasy. After use, my hair feels stronger and sleeker and the results last for days. Considering how little I use of this mask per application, compared to others, the 200ml tub lasts for months. This may confuse you, but this oil is not the most coveted from my collection. So why is it in my current haircare rotation? Well, things were getting a bit too chaotic in my hair oil hoard. So, a ban on any new bottles was put in place, to encourage me to use them up. 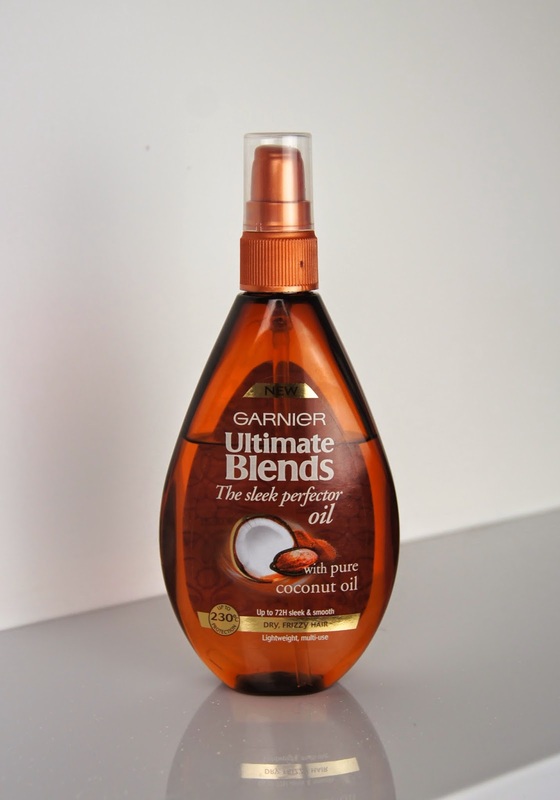 Part of relatively new, Ultimate Blends launch from Garnier, is the Sleek Perfector Oil. Containing pure coconut oil, this has a thicker consistency than others I've tried. With any oil treatment, less is more and this one is no different. With a pump or two, depending on your hair type and length, hair is left smooth and soft. 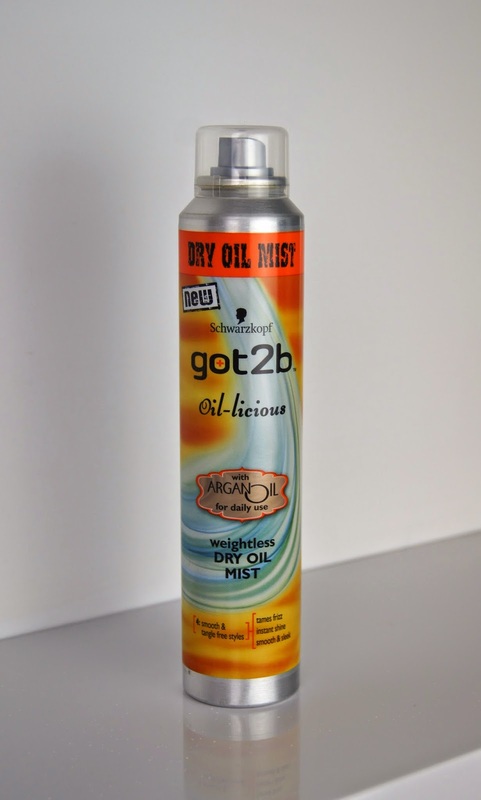 Protecting the hair from heat up to 230 degrees, this cuts out the need to use a separate heat protectant, before using any styling tools. It doesn't completely rid my hair of frizz when it's freshly washed and I still need my straighteners, but it's good for a cheap option. Smelling like a tropical cocktail, the fragrance is just divine and lingers on the hair for days. I’ve already declared my love for this styling saviour in my July Favourites, so you can check out that post and I'll try not to bang on about it too much more. Fighting the frizz is a daily battle for me, whether I let my locks dry naturally or turn to the hairdryer. 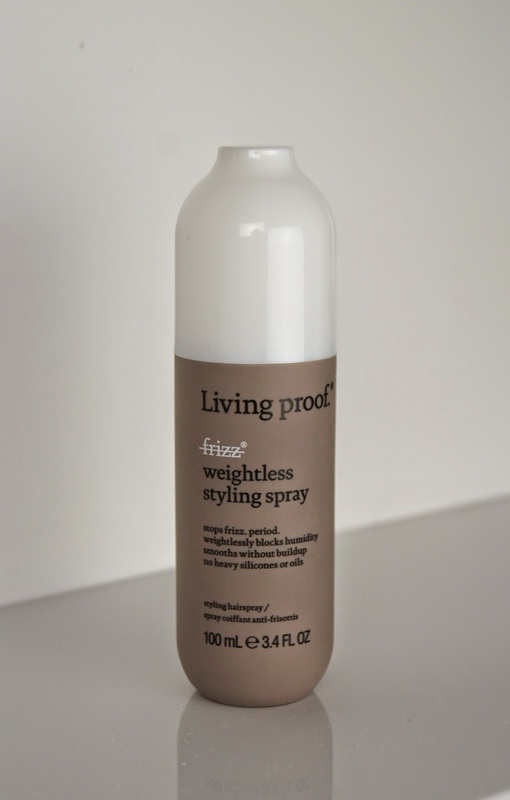 Enter this little miracle; the Living Proof No Frizz Weightless Styling Spray. 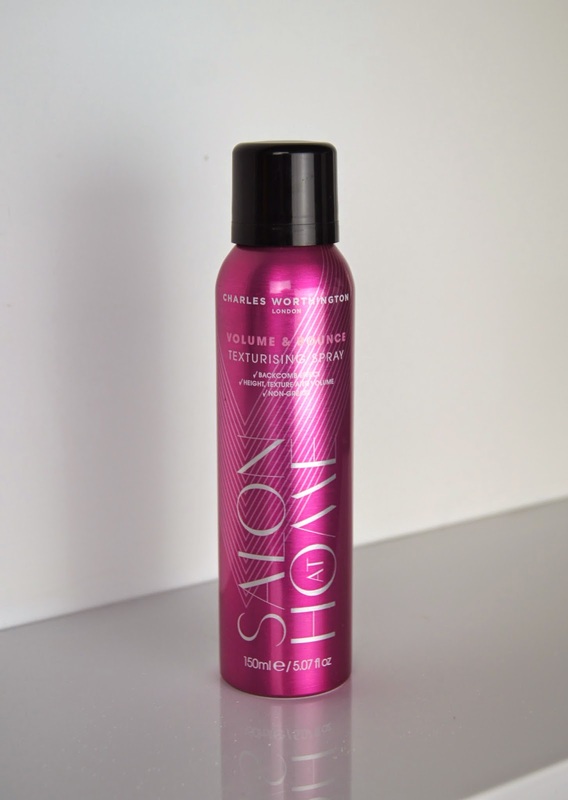 Like a leave-in conditioner, you spritz this onto damp hair (I like to be generous) and comb it through. However you dry your hair, you shouldn’t experience any frizziness and, if you use a styling tool afterwards, I find it holds my style in place all day. No oily residues leave my hair lank and it remains feeling clean after it's been freshly washed. This little, 100ml bottle still feels full after using it every day since purchasing it over a month ago. Intending to try more from the Living Proof No Frizz range, I'll keep you posted about how I feel about any other products I try. As a finishing, frizz fighter, I like to immerse my hair in a haze of the Schwarzkopf Dry Oil Mist, which contains Argan Oil. It seems I'm giving Schwarzkopf quite some love, recently! First off, this smells frickin' amazing; I'd happily just use this as hair perfume. Not only that, the light mist diffuses a fine veil of shine and tames flyways without being heavy. Sometimes, if I use hair oil from a pump on my dry locks, it can be difficult to get the balance right. You can end up with sections that look greasy, whilst the rest remains perfectly preened. This is the perfect way of finishing things off, without getting messy. It's ideal if you're in a rush and need to calm and control any hair craziness, quickly. Certainly, if you get a bit trigger happy with this spray, things can end up like an oil slick, but a gentle spray doesn't make hair greasy. I'd suggest working in short bursts and adding a little spray at a time. At under £5 for 200ml, this oil is not only an innovative product, but it's a bargain too! To be honest, hairspray isn't something I get all that excited about. Rarely do I wear my hair up, so I only really reach for it when I've added in some waves or curls. Each time I repurchase, I try something different and they all seem pretty much the same, to me. Until I spotted Fudge's radical, acid-bright packaging. 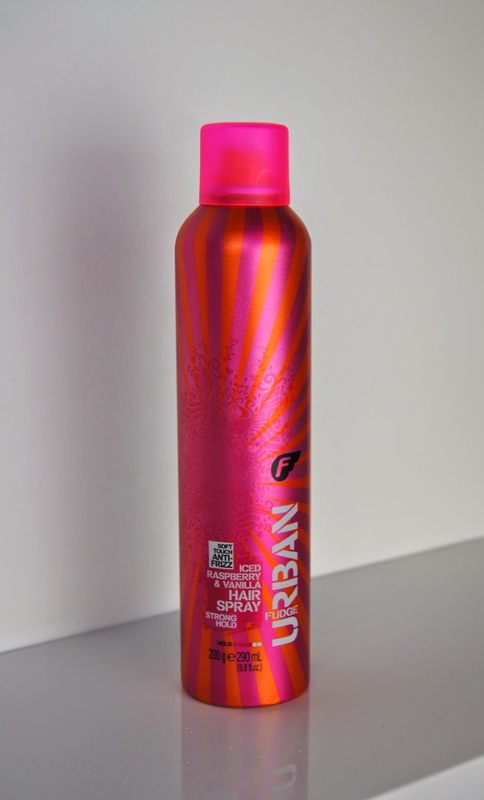 Unlike the boring, same-old versions, this Iced Raspberry and Vanilla Hairspray is much more appealing. You aren't suffocated in a chemically fog when you set your style, as this one smells mouth-wateringly delicious. Without being crispy, the hold is firm and prolongs the look of any style you go for. I'm not one to experiment with challenging hair styles, so I don't know how it would perform when holding up intricate knots and up-dos, but it does the job for my everyday, simple sorts. You don't get any sticky, wet patches, as the nozzle isn't too direct and the spray is fine. Fudge wasn't a brand that I associated with the drugstore until I saw it when browsing Boots, so I was surprised to find that this 200ml can was £4.99. It may not be the cheapest, drugstore option, but the amazing fragrance and design is worth the extra expense, seeing as I use it so sparingly. I have no idea which model my Remington Hairdryer is and I can't even remember when or where I bought it. I refuse to replace the old thing because I absolutely love it. Whenever I use a different one, it just doesn't feel right. It's powerful and dries my long hair in a flash. There's no fancy gimmicks and the technology is probably years behind the current hairdryers, but I don't care. Unfortunately, if it ever gives up the ghost, I won't be able to repurchase the same one, as it's no longer available. So, until it decides to conk out, I'll continue to use it. Another tool that I've had for aeons, is my pair of straighteners. 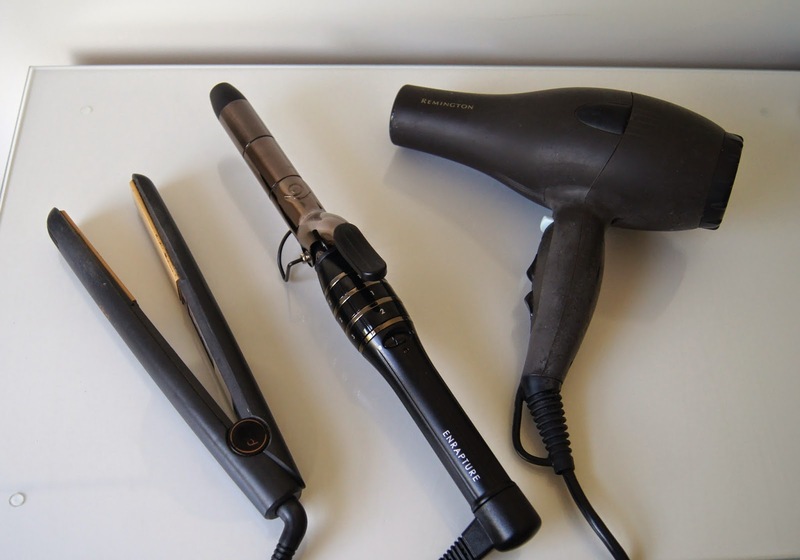 My very battered, but much loved GHDs are my most regularly chosen taming tool. I've genuinely had them for nine years and, despite looking slightly worse for wear, they're still going strong! Having used other brand's versions, none come close to the results that GHDs give. They heat up in seconds, the ceramic plates glide through my hair easily, without pulling or tugging and they're the perfect size to get my hair done quickly. My hair is left smooth, with a mirror-like shine and perfectly kink-free. The results last until I change the style or wash it, too. You can't alter the heat settings, but as long as you use a good heat protectant and go gently, hair damage will be kept to a minimum. Initially, they may be pricey at £99, but I've certainly got my moneys worth out of them and I always think it's best to invest in something you'll be using for years. I know you can use straighteners to curl hair also, but I personally prefer using my Enrapture Totem Styler. The barreled tong is split into three sections, each of which can reach a separate temperature. So, you can customize the curls that you want, from tight ringlets to loose waves, meaning you only need one curling tool. Perfect for traveling, but it also means you need to find less room to store them at home, too. Again, this is an investment at £59.99, but if you can create multiple styles with the one tool, you won't need to spend on any others, if you don't want to. As my hair is so long, it can get a bit flat at times. To give my roots a volume boost, I like to use a texturing spray. If you haven't heard the commotion surrounding the extortionately priced wonder that is the Oribe Dry Texturing Spray, then where have you been? I have refused to cave with that, but I'm hooked on the cheaper, drugstore dupe. Charles Worthington's Volume & Bounce Texturising Spray is an alternative that works in exactly the same way. After spraying the product directly into my roots, all it takes is a quick rough up to work the it in and get super volume. With a matte texture, you're hair doesn't end up feeling wet or sticky, but you can definitely feel it in there. Throughout the day or night, a quick rub will plump everything up again. You can have a read of my March 2014 favourites post, if you want to hear more of my thoughts on it. 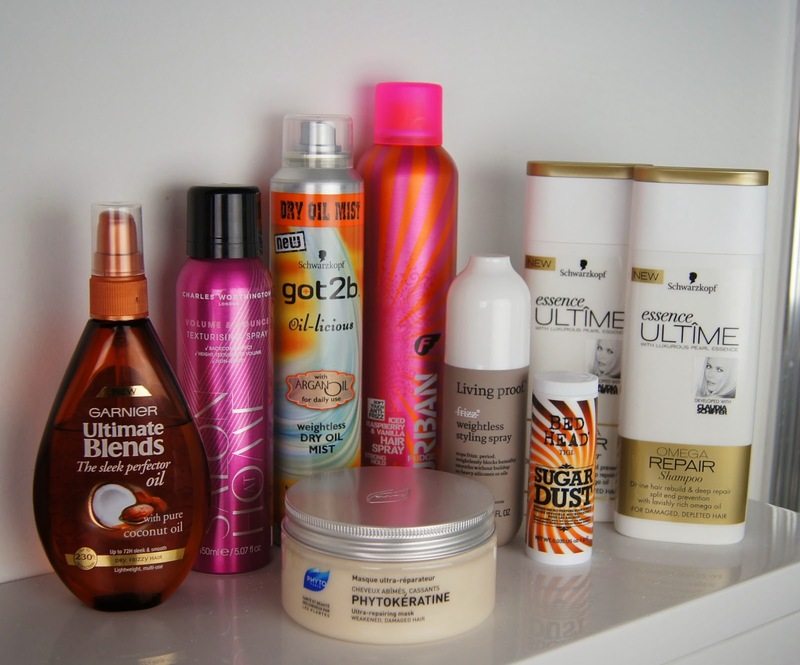 Which products make your hair look and feel amazing?